The 2016 Dodge Grand Caravan is a minivan that encompasses everything a minivan should be; with a stylish exterior, strong power-trains and the handling of a smaller crossover SUV, gone are the days when family vans were frowned upon and viewed as a punishment rather than a reward. In 2016, drivers look forward to getting behind the wheel of such a versatile and responsive minivan as the 2016 Grand Caravan. If a large vehicle with extra seating is what you are after, come down to Sulphur Springs CDJR to experience everything the Grand Caravan has to offer first hand. Our dealership serves buyers near the Tyler, and Greenville areas with a friendly smile and welcoming attitude. We look forward to meeting your car-buying needs today! The 2016 Dodge Grand Caravan produces a clean and smooth ride when out on the highway and provides more than enough power and responsiveness for everyday driving. The minivan comes with a 3.6-liter V6 engine with a six-speed automatic transmission and front wheel drive capable of producing up to 283 horsepower and 260 pound-feet of torque. The seven-passenger Dodge comes in a six different trim levels-- American Value Package (AVP), SE, SE Plus, SXT, SXT Plus and R/T--with the base AVP offering heated mirrors, 17-inch wheels, power locks, dual-zone air conditioning and a reclining second row. The upgrade trims add in a leather-wrapped steering wheel, upgraded upholstery, fog lights, an upgraded suspension, and a DVD or Blue-ray entertainment system with second and third-row screens among other things. But, whatever version you end up choosing, the 2016 Grand Caravan will be nothing sort of a well-crafted minivan that turns heads when on the road. The 2016 Dodge Grand Caravan offers an interior that was meant to impress family in every aspect. The upgrade trims include a DVD or Blue-ray package to help keep the kids entertainment on those long rides while offering enough head, leg and overall room to keep the entire family comfortable and not feeling cramped in either the second of third-row seats. The Grand Caravan's "Stow and Go" seating allows owners to push down the back seats with ease, and that extra space transforms the van into an excellent hauling option with 143.8 cubic feet of space, which comes in handy during those situations where storage might be an issue. The minivan is also equipped with an 8.4-inch touchscreen infotainment system that uses the Uconnect interface to make incorporating advanced technology into the driving experience a breeze. Overall, the 2016 Grand Caravan score massive points for family drivers. The 2016 Dodge Grand Caravan provides seating for up to seven-passengers and continues to be one of the best options on the market for families needing a responsive, stylish and affordable vehicle. 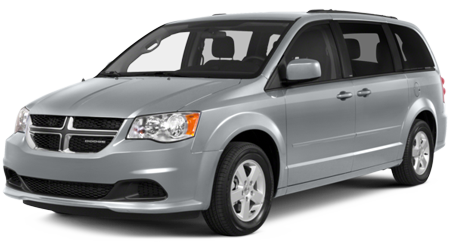 The Grand Caravan is spacious, offers an excellent cabin experience and provides drivers with peace of mind knowing the Dodge remains one of the safest options on the road. When you are ready to take the Grand Caravan out for a spin, visit us at Sulphur Springs CDJR to schedule a test drive in this wonderful minivan. We are located at 1505 Industrial Drive West, Sulphur Springs, TX 75482 and serve patrons from the Tyler, and Greenville. We look forward to serving you.